“Magnificent!” Pearl whispered, resting her head on Owen’s shoulder. 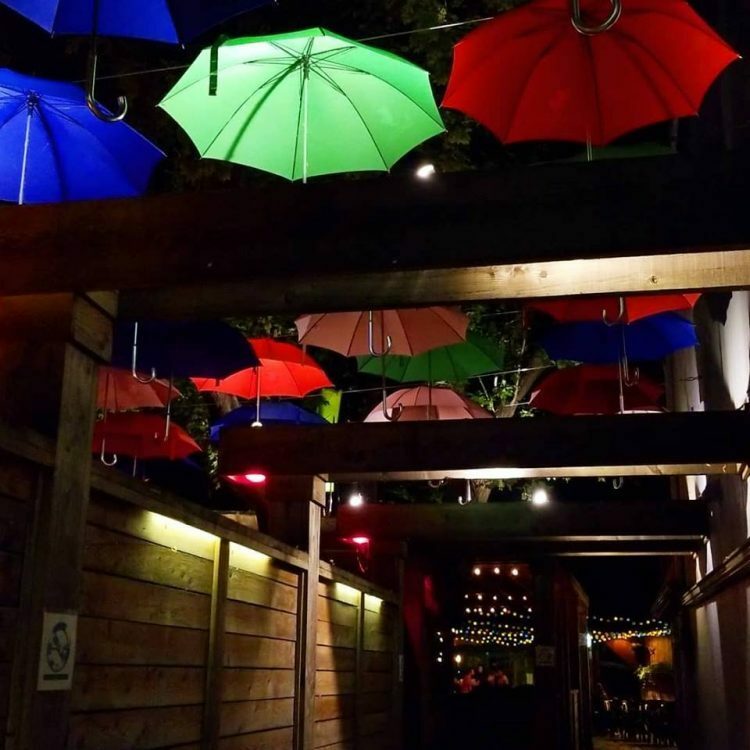 Above the winding deck of Chez Louis, a rainbow string of umbrellas hung, suspended, protecting guests from Seattle’s mist. Owen made it his business, to know what Pearl wanted. Often, before she knew. Their picnic table was white-draped and seasonally decorated. Waving off the waiter–wine could wait– Owen pushed a small box toward Pearl. Eternal love story and love for jewels. Whoever dates/marries a Pearl has either 1) got present buying down easy or 2) an “Another pearl? Really?”. This one went the right way, for both. I enjoyed your story. You told it well, with plenty of telling little details. Yes Draliman, i stuck in three references to old proverbs, two in the body, one in the title. One is definitely a stretch/ bad pun. ? I imagine they dined on oysters. What a delightful tale. Such a sweet feel-good story. You left me grinning. Such a cute romantic story. Where are these Owens in real life…why I haven’t met such a man in my life??? Sigh!! There are plenty of men out there who know value when they see it. I’m sure he is just around the corner, Anshu! Who does not love a love story? I definitely do. Sweet, Andrea. A homely romantic tale. Good to know that romance is not dead. If you meant to say “homely”:It was clearer in the extended version whether the two were good looking or not, but in the end it wasnt relevant. If you meeant “homey”: It is an unadulteratedly snug, warm and fuzzy piece if I do say so. What an inappropriate choice of adverb for a couple on the brink of marriage!? What a romantic gentleman he is. She’d better hang onto him. He seems to scoring high on that measure. What a sweet story. Pearl is a lucky girl. You are right. Seems like different ending to the same tale. Your turned out to be good for the protagonist and the partner. Yes, I think I enjoyed sticking to a very simple plot-line on this one, but randomly adding proverbial references, just for fun. :) Did you get all three?